Lausanne offers your child the perfect opportunity to try many different sports. The picturesque city is more than just the official Olympic Capital, a title bestowed in 1994 by then IOC President Jose Samaranch, in name alone. Across the city there is a wide range of different sporting activities available, and sports are just one of many exciting and varied things to do in Lausanne. What sports are available depends on the time of year your child is in the city. Spring sees the annual 20km road race in Lausanne, complete with several smaller fun runs, ideal for young competitors to enjoy. Alternatively, if your child prefers cycling, the Cyclotour du Léman takes place on the nearby shores of Lake Geneva in May – the minimum age is 16, but younger students can enjoy the spectacle nonetheless. For a more relaxing bike day, there’s the Journée Lausannoise de Vélo for a series of hugely enjoyable rides along routes of varying length and difficulty – it’s also free for under 16s! A spectator highlight during the summer is the annual athletics meeting held in Lausanne each year, featuring top athletes from across the world. Olympic Week in autumn gives children aged 9 to 15 the chance to experience over 40 different sports, including the “24 Heures de Natation” – the 24-hour swim. 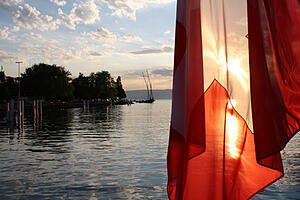 Non-swimmers can spend a great day out watching runners in the Lausanne Marathon. In the winter, get dressed up in your best Christmas running gear to take part in the Christmas Midnight Run, where younger participants are most welcome in the 2.5k family event! 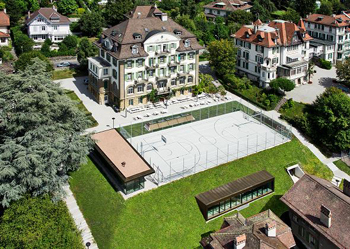 With outstanding golf courses, top-division professional football team FC Lausanne, water sports on Lake Geneva, mountaineering and even a professional wrestling school, Lausanne is the perfect place for any child with a love of sport.